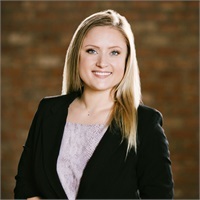 Brit Burks is the Administrative Assistant for Riverchase Wealth Management, LLC in Flower Mound, Texas. Her role involves assisting clients, providing client communication and supporting the needs of the principals of the firm. Brit recognizes the value of trust and communication when it comes to helping people reach their goals. Brit focuses on providing each client with the tools and resources needed to make each step of their financial journey an enjoyable one. Prior to joining Riverchase in 2016, Brit spent the majority of her career in the healthcare field and as an executive assistant. Brit’s experience in healthcare laid a foundation for her role now in the financial services field, with both fields focusing on serving the needs of others. To further her development in helping others, she is pursuing the Enrolled Agent designation with the Internal Revenue Service. Prior to her life in Texas, Brit was born and raised in Albuquerque, New Mexico. She attended the University of New Mexico on both academic and athletic scholarships. She later transferred to Tarleton State where in 2013 she earned her Bachelor degree in Nursing with a minor in Biology. Brit resides in Lewisville, Texas. She enjoys spending time with her family, traveling, and going to sporting events. She also enjoys volunteering with local organizations in the community.